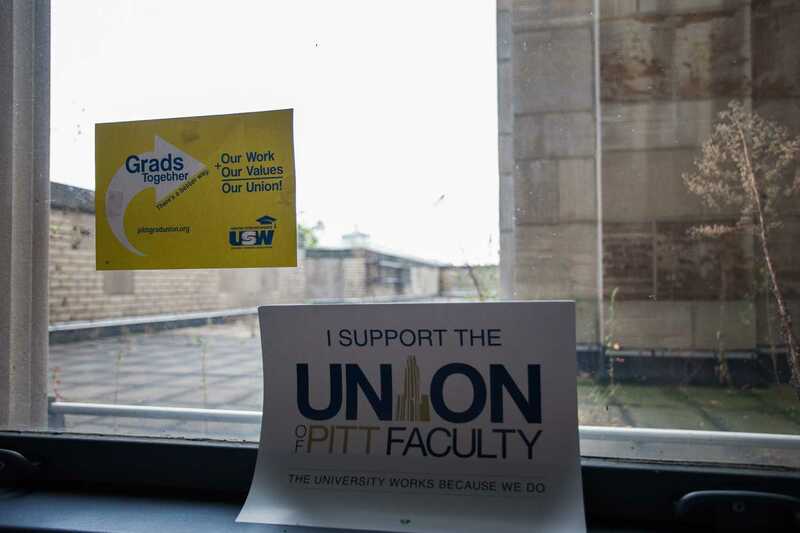 Pitt administrators have told the Pennsylvania Labor Relations Board they plan challenge the graduate student petition to hold a union election, organizers said Wednesday. Pitt will look to convince the board that graduate students aren’t employees. The labor board in February ruled that graduate students at Penn State were considered employees and could unionize. Pitt spokesperson Kevin Zwick would not confirm that Pitt hired the law firm or respond to questions asking if tuition or taxpayer funds are going toward paying the lawyers. Zwick said Pitt is going through the process set by the labor board to establish their view that graduate students aren’t workers. “The University of Pittsburgh remains committed to the success of all students, and we will continue doing what we do best: partnering with graduate students—individually and collectively—to support their growth and success,” he said. Graduate students in October filed a petition with the labor board to hold a union election, indicating that organizers collected union cards from 30 percent of students. But Pitt maintains that graduate students are only students, not employees, a position strongly opposed by the organizers. Shaaban said GSOC and University legal representatives talked during a conference call Wednesday. The call was held so that the University could either agree with GSOC’s ability to hold an election or challenge it, she said. Shaaban said the administration and GSOC will argue their cases in an upcoming labor board hearing. If the Board determines that Pitt graduate students are employees, the administration will be required to present an Excelsior list — a list filed by the employer stating the names and addresses of all eligible bargaining unit employees. The Pennsylvania Labor Board will then be able to check the filed union cards and certify if 30 percent of graduate students have signed union cards. Shaaban said a date for the hearing is currently being arranged by both parties’ legal representatives. “Both the Pennsylvania state law and the recent board determination are on our side, so we feel confident we will make our case and it will be very clear that grad student employees are employees,” she said.